Scott Benjamin | Performance Methods Inc.
Dr. Benjamin is a strategic management specialist with over 25 years of experience in planning, building and guiding numerous corporate ventures across a variety of verticals. He brings an incredible wealth of knowledge and experience in health care, real estate, professional services, hospitality and entertainment to PMI. His executive level experience includes working with Fortune 500 corporations on strategic planning on topics from sales and negotiation execution to corporate entrepreneurship and innovation. He believes that it is the unique combination of the theoretical foundations received through his doctoral training in strategic management and his experiential knowledge gained from over 25 years of launching and building organizations that provides him with an insightful perspective on the processes of strategic customer engagement. Most recently, Scott has been involved with executive training and higher education. He actively consults in the areas of strategic account management and negotiations for firms such as Northrop Grumman, General Electric, Bristol Myers Squib, PwC and Grant Thornton. He also teaches strategic management and entrepreneurship to undergraduate, graduate and doctoral students at the University of Maryland, George Mason University and Florida Tech, and currently holds a faculty appointment at The Nathan M. Bisk College of Business at Florida Tech. Prior to becoming an academic, Dr. Benjamin founded a medical consulting practice in 1996 which focused on growth through strategic acquisition and service diversification at healthcare providers and hospitals across the United States. Scott is also a principal with Signature Properties, a real estate investment company with residential, multifamily and office properties in Florida, Maryland, Indiana and Illinois. Scott has a passion for consulting, coaching and working with corporations to strategically guide their processes for growth while keeping an eye on the holistic strategic direction of the organization. He is able to drive home with precision not only the unique concepts of transactional and relational sales but he breaks down the paradigm of the customer engagement model to understand how this process fits as part of the larger strategic direction of the company. His focus is on helping organizations understand the engagement model, their strategic position in the relationship and how to deepen and grow these relationships in a mutually beneficial fashion for the various stakeholders. Scott holds a B.B.A. from the University of Miami and an M.B.A. from the Robert H. Smith School of Business at the University of Maryland. 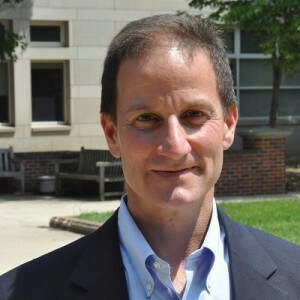 In 2010, Scott received his Ph.D. in Strategic Management from the University of Maryland. He is a fellow at The Aspen Institute, sits on the board of directors for several local startup ventures and volunteers by frequently giving presentations at local not-for-profit agencies. Scott lives outside of Orlando, FL with his wonderful wife and their two boys.